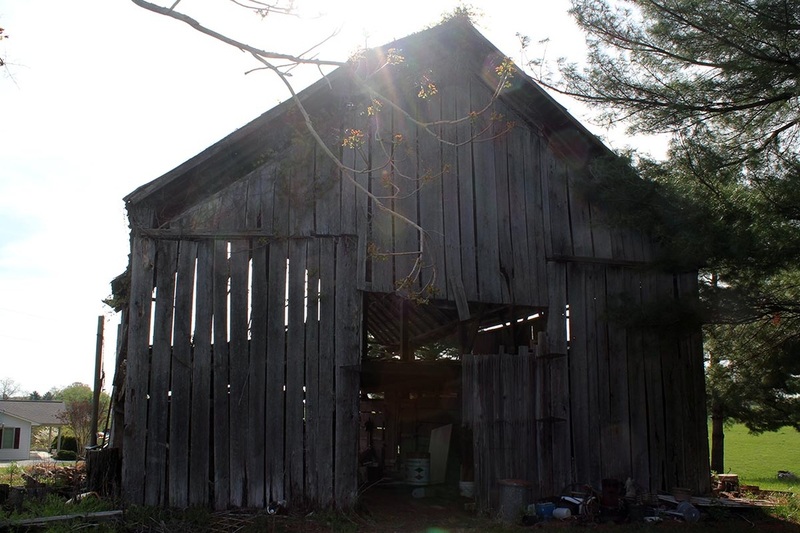 Ever since we moved to East Tennessee three years ago, Chris and I have been obsessed with the barns in this area. Just on my drive to work (only 9 miles) there are 47 barns- the kids helped count them! The idea of Fish Eye Fine Art has been taking hold for several years. Chris kept mentioning how cool it would be to make sculptures out of old barn wood but everywhere we looked, it cost a small fortune to buy. One day on our way home, we spotted a barn that looked like it was about to collapse. On a whim, we pulled up the driveway and knocked on the door. Here we met two amazing people, the Bishop's. They were more than thrilled to hear we were interested in the wood. 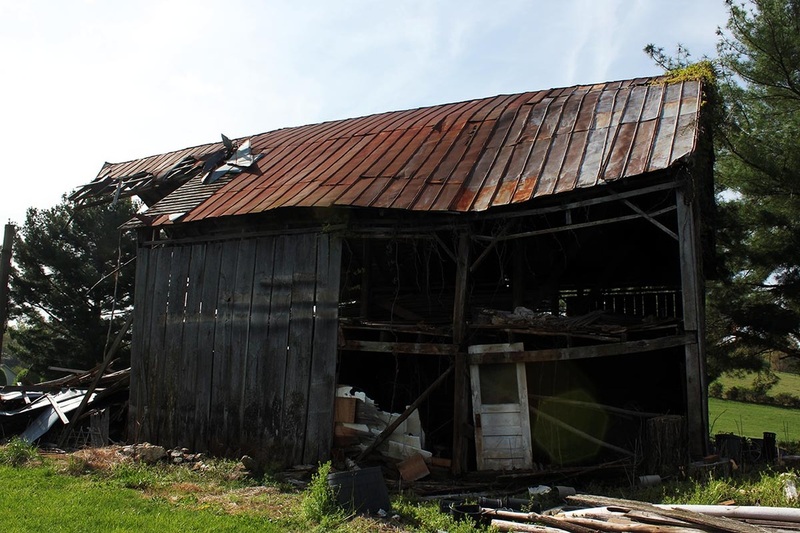 In fact, they'd been trying for years to find someone to take down their barn as it was a safety hazard. 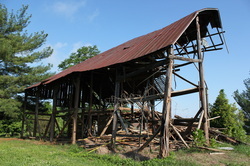 About a third of the barn had already collapsed and had no sides left. 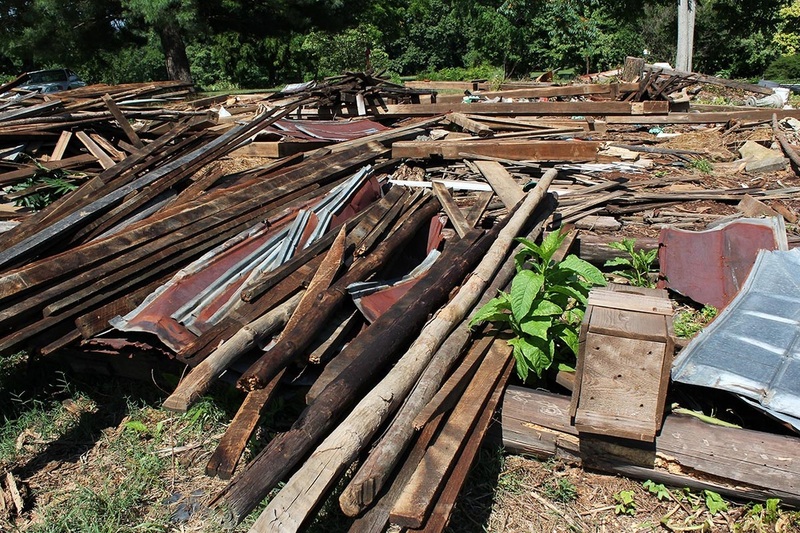 Over the years, people came and went, asking for wood and making promises to take down the barn, which they never kept. 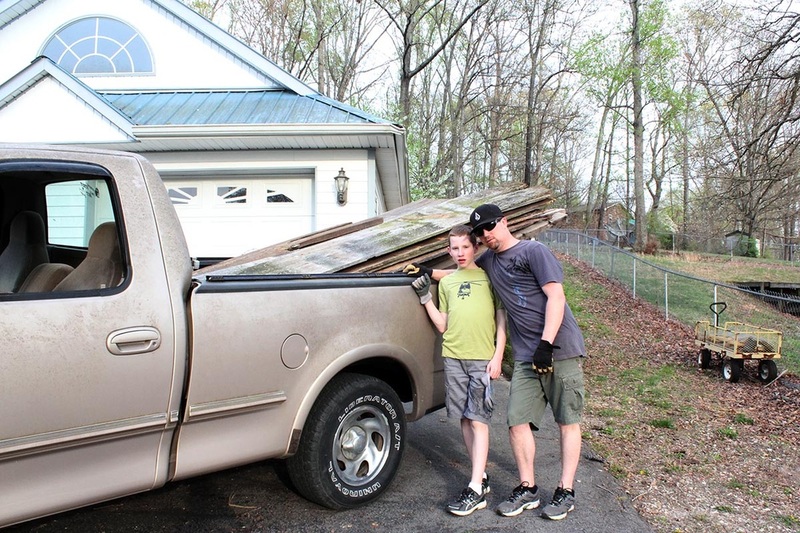 Chris kept his promise to take the barn down to the stone foundation, and over the course of about six weeks, the entire barn was taken down by one very dirty, exhausted, and determined man. 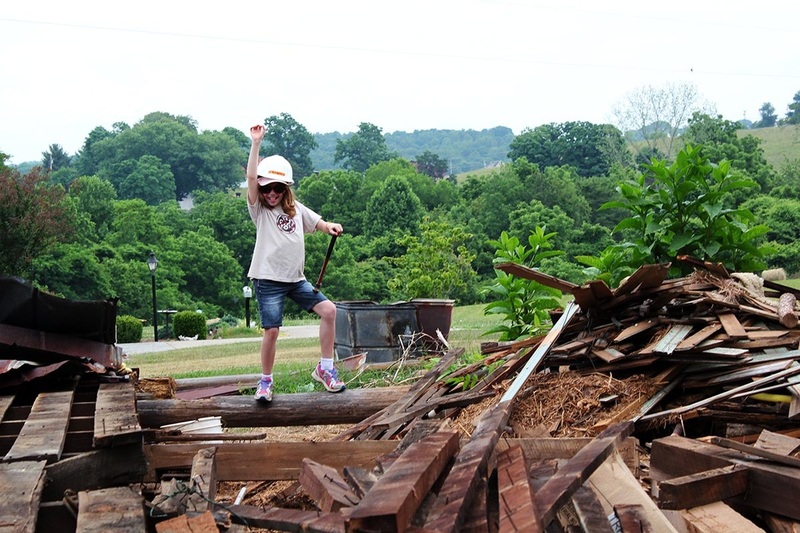 East Tennessee is a beautiful mixture of emerald pastureland and vibrant hardwood forests. There is a barn around every corner in this part of the state. The open pastureland we have today is from early pioneering farmers clearing the hardwood forests in order to raise crops and to grow food for their families. Cleared land meant lots of lumber and lots of barns. 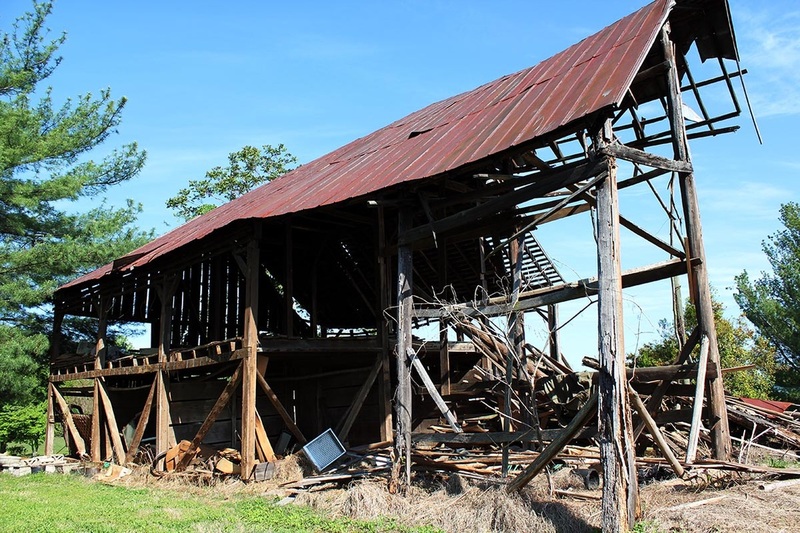 What about history of the Bishop's barn? Mr. Bishop told us his grandfather built the barn around 1900. The barn was built before a small one room house, in which Mr. Bishop's father and ten siblings were born. The stone chimney of the original farmhouse is still standing today. 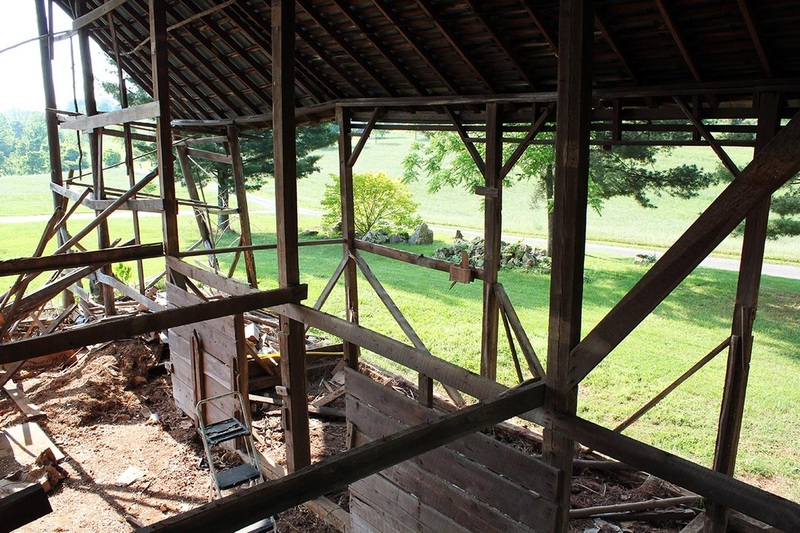 The barn is solid white oak from trees felled in the woods behind the property. The family grew tobacco, tomatoes, watermelon, and corn on the green rolling hills overlooking the Holston River. Every barn must have a barn cat, right? The Bishop's have a big orange cat named Barney- yes, he was named after the barn. The barn was HIS barn. He even had his favorite pillow in the barn for afternoon naps. 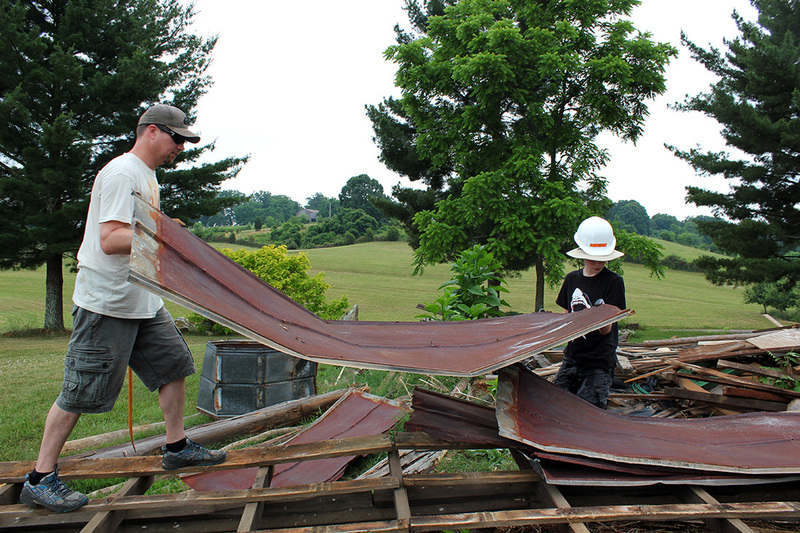 Barney was not at all happy to see his barn being taken down. Chris is a cat lover and he makes friends with every cat he meets, but not Barney. 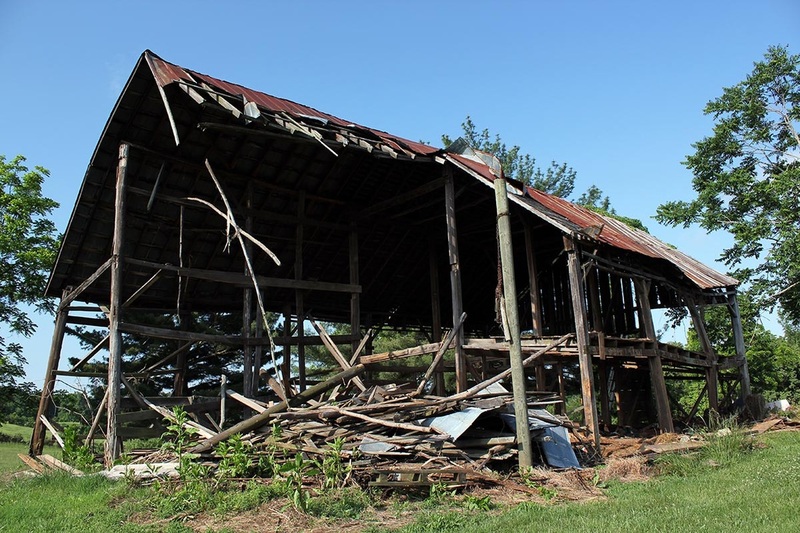 Barney was extremely displeased to loose his barn. Chris did save Barney's napping pillow, but he's not even the slightest bit grateful. We owe the Bishop's more than we can ever give back for their help in starting our new business. Most of all, we have some amazing new friends- even you, Barney! Welcome to our blog! We're excited to share some of our stories with you and we look forward to the opportunity to hear yours.